At least Jose's United side isn't dull. But we are about as repetitive as the same old jokes and tired gags dredged up on social media every time we fail to win a game. There is only so much satisfaction to be taken from the upturn in style. Referee Jon Moss was booed at half-time and again at full-time yet Jose cannot blame his influence for the latest addition to our Groundhog Day sequence. United have regressed and the momentum developed after the performance against Arsenal and result vs Feyenoord has significantly subsided - we needed to beat to West Ham to keep it going and be marked down as a credible Premier League force. Mourinho repeated his mistakes - but not through his sending off. He will doubtless receive another touchline ban for the heinous destruction of an inanimate object when he should actually receive an apology from the pompous and self-important officials. The biggest call he made at the weekend was to keep faith with his out-of-form front six, which spurned enough chances against Stoke and Burnley to be winning a season's worth of games. The only player to score in those games, Anthony Martial, was sat in the stands. 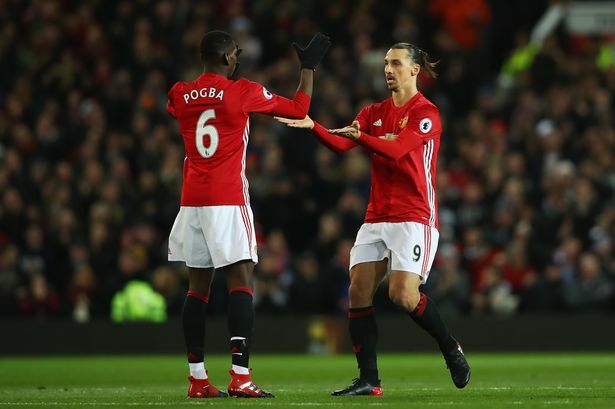 The same attacking line-up combined to topple champions Leicester, but that was almost three months ago and remains United's last home league win. Jesse Lingard did not have a fixed position, Marcus Rashford was short on confidence, wasteful in possession and is pining for a central role while Juan Mata was taken off too early. Rashford's inclusion was questionable having not played for over two months while Lingard was preferred ahead of Mkhitaryan who so impressed again Feyenoord. Both wasted excellent chances at 1-1 and Lingard's needless foul on Payet that led to their second minute opener suggested he had never noted the Frenchman's supreme dead ball ability. With Carrick injured, selecting Lingard as the second 'runner' alongside Paul Pogba was logical but Mourinho changed his position and switched him to the right. For a club synonymous with wingers, United's only natural width came from Antonio Valencia at right-back and we need more from the forwards than near-misses and energy. Putting Marouane Fellaini on to try and find a winner was like buying arrows while forgetting the bow. United have won only one of our five fixtures immediately following a Europa League tie and it was again noticeable that a number of players were struggling with cramp in the second half. The strong selections in Europe have suggested that Mourinho is prioritising the competition ahead of the league, and has said that he sees the tournament as a realistic target. There is plenty to appreciate but the repetitive nature of the season has become infuriating.